As one of the world’s strongest industries, Travel & Tourism generates prosperity across the world. This industry creates jobs, supports the export of goods, and creates incredible experiences. Plain and simple, it cannot be denied that tourism is an economic driver. As such, tourism at any level is positive to the economy. However, there’s a difference in economic impact with domestic travel vs. international travel. 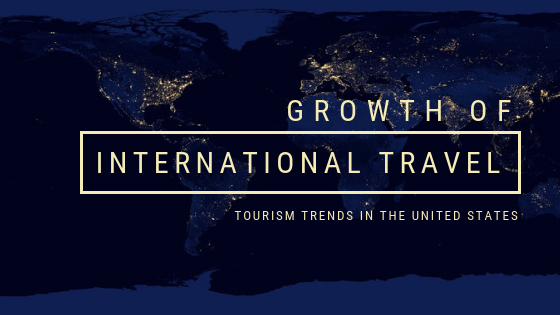 While domestic tourists (people who travel within the United States) spend money in communities around the country, those dollars are in the U.S. originally and are staying in the U.S. The reason international travel is important on a different level is it brings money into the U.S. economy from outside the country. So instead of moving our own money around, with international visitation, we have currency coming into our country that isn’t there originally. The Global Economy is Strong and Long-Haul Traveling is Booming. What this means is that people all over the world are travelling overseas. This is good news, but it also means more competition for the United States. Therefore, it’s important now more than ever that we work together to keep American destinations top of mind for international tourists. The Average Annual Growth Rate to the United States has declined. The strength of the U.S. dollar. When foreign currency is worth less than U.S. currency, it’s expensive to visit the U.S. However, we’ve been here before (2000 – 2006) and have come back strong (2007 – 20014). (Source: U.S. Travel Destination based on Oxford Economics data). We are trending to come back again, but it will take strong, focused and collaborative efforts. We shouldn’t be discouraged by the downswing in growth. There is much for us to be excited about in international travel! International visitations to the U.S. (including overnight visits from Canada and Mexico) increased 0.7 percent and totaled $76.9 million in 2017. U.S. Travel Association – U.S. Travel and Tourism Overview (2017). There’s plenty we can do to attract our friends from overseas. Working with state and local tourism offices. For example, on the state level, the New York State DMO (I Love NY) has several programs that tourism businesses and regional DMOs can participate in to market to other countries such as Canada, China, U.K. and Germany. Working with OTAs (Online Travel Agents). There are several options to have your business included on OTA websites who work to promote inbound travel to the U.S. People from other countries can go online to a trusted source and find U.S. attractions and accommodations in various destinations and buy tickets, hotel rooms, etc. One example of an OTA that is very successful in this area is TripAdvisor Experiences. 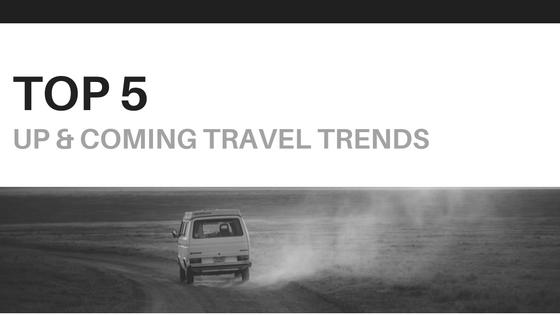 Advertising in international travel publications. There are advertising co-op programs available in various international publications. Working with a state partner such as NYSTIA (New York State Tourism Industry Association) or a national partner such as Brand USA offers the opportunity to be included in international publications more economically than buying ads individually. The most important thing to keep in mind is no one can do this alone. If we collaborate and work together, we will achieve much bigger and better results than we can working individually. Need more suggestions? Listen to Episode 95 of Destination on the Left with Rhonda on How to Create Successful FIT Itineraries for Overseas Visitors.